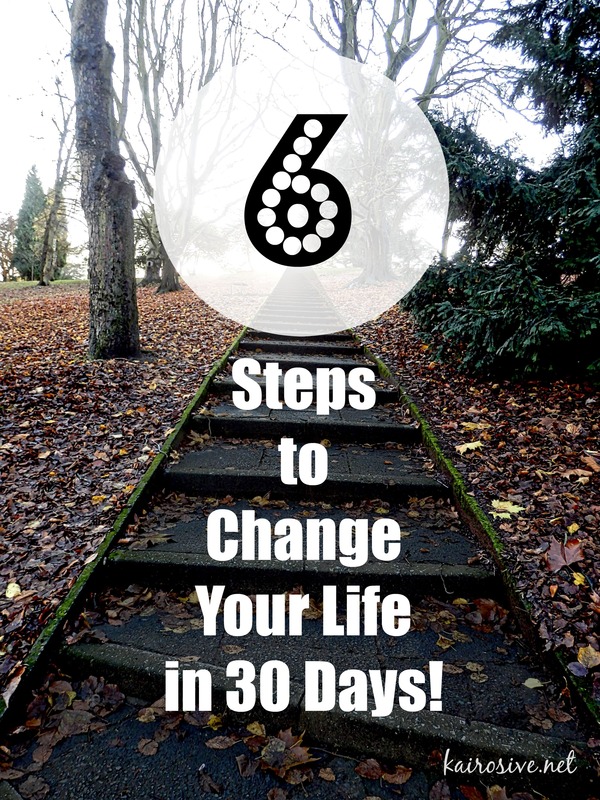 What if I told you that you could change your life in 30 days? 30 days is a short period of time. If you live to be 80, it’s just .1 percent of your life. I believe that very short period of time is enough to make great things happen. Growing up Catholic, we practiced the tradition of giving up vices for lent. As kids, we gave up candy and cartoons. As adults, we give up things like fried food and wine. I’ve always enjoyed this practice. During a short period of time, you gain strength through sacrifice. These sacrifices require that you are intentional with your actions and provide a sense of accomplishment as you take control of your habits. At the end of 46 days, you usually realize that it was shorter and easier than you thought it would be. Today is the first day of lent and a great day to commit to a 30-day challenge. Think of it as a free sample before committing to go all in. What Could You Do for 30 Days? Trying to get in shape? Commit to run or walk every day for the next 30 days. Trying to get out of debt? Freeze your credit cards for 30 days. Trying to eat healthier? Commit to no processed foods for 30 days. Trying to be more organized? Schedule 10 minutes daily to learn to use calendars and lists for the next 30 days. Or spend 30 minutes each day working through your clutter. 30 days is more significant than you might think. Having small wins helps create confidence to go for bigger goals. Good habits that last are always built from something small. 30 days is a short enough period to stay focused and you’ll get excited about your short-term progress. Here at Kairosive, I have no desire to blow hot air and create ridiculous headlines to increase page views. I created this site to provide practical guidance to embrace the power of change. Everything I share with you I have accomplished or am working on myself. If you commit to 30 days of change, I vow to do it with you. I intend to go beyond 30 days and practice my change through the end of lent on March 26th. If you’ve been reading awhile, you may know that Jer and I are recreational road cyclists. We take an interest in diet and fitness practices that could increase our strength and endurance. I’ve been hearing a lot about the benefits of intermittent fasting and I figured I might as well give it a shot. It’s only 30 days, right? Researchers believe that intermittent fasting can flush out cancerous cells, control insulin levels, and prevent Alzheimer’s disease. It is also believed to improve fat loss and build lean muscle. I am going to do the 16/8 Method where I eat for 8 hours, then fast for 16. Other than fasting, I will keep my diet and fitness the same. I will record my weight and measurements over the next six weeks and share my results in a future post. I have a few reasons to make this change. The first are vanity goals, shedding fat and building muscle. I am also interested in the opportunity to increase strength and build my endurance. Finally, I put great consideration into my long-term health and quality of life. I want to be able to do the things I enjoy today when I’m 80. The better I care for my body today, the better I can care for myself and others 40 years from now. Commit to a change you want to make. Define the action steps you will take to work toward your change. Decide how you will measure your progress. Share your plan with an accountability partner or here on Kairosive. Don’t give up. If you mess up, pick yourself up and get back to it immediately. None of this, I’ll start my diet on Monday crap. No excuses! You can do it. I believe in you. Will you commit to 30 days of change? Share what you’ll change in the comments below. Great post! You have inspired me to try and double the traffic to my sit in 30 days! Thanks! Just finished my first 30 days of “dieting”. I entered a cool contest to win a trip to Hawaii so pretty good motivation. I think I’ll reach my goal in 60 days but the contest is for a full 12 weeks. Sometimes it only take a day to change, sometimes a lot longer. I once read a book called 90 Day Success Workshop by Steve Forbes? Anyone know where I can get a copy? Thank you, Vickie, for the comment. A trip to Hawaii would motivate me. I like your point about only taking a day to change. I’ve heard it said that change happens in an instant. It may take years to decide to change or gain the knowledge to change, but the decision to change happens in a moment. That’s the idea behind the name Kairosive. Kairos is Greek for that moment when everything aligns. The idea of being Kairosive is to take advantage of that moment. Good luck with your diet! John – Not sure why but you were in my spam folder. Thought I’d let you know. Good luck with your 30-day challenge. I can’t wait to hear how it turns out. Maybe my comments were spammy??? I wanted to update you on my commitment to do what I said (I think those words may have landed me in the spam folder). I know it’s early but this is when I check my traffic. I wanted a 100% increase. I got 90%! A missed mark to be sure, but when you shoot for the stars, sometimes you hit the moon! I love big goals. I always try to encourage huge goals in the classes I teach. Most people don’t buy in to things that *seem* unattainable. You are just one more example of the success that follows shooting for the stars. Thanks for the inspiration! And the update.